Signed by the supermodel herself, this two-volume Art Edition celebrates the remarkable career of the one and only Miss Campbell, as styled and shot by the legends of photography and fashion. 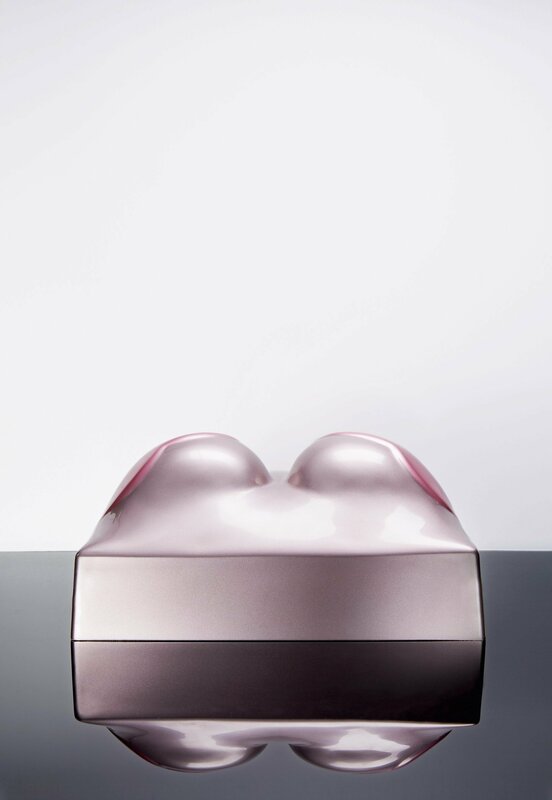 With a multiple artwork by Allen Jones, Naomi’s own autobiographical text, and breathtaking signed print by Paolo Roversi, this is an at once intimate and astonishing encounter with a beauty icon, as well as a fascinating journey through 30 years of fashion. 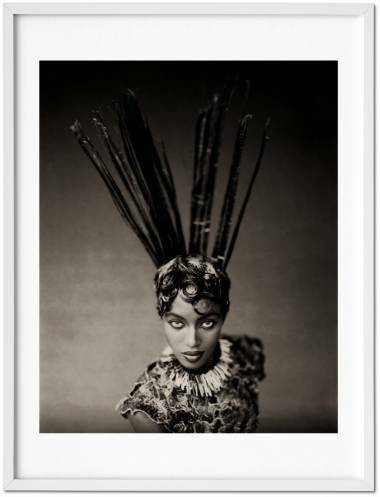 This signed, limited, two-volume Collector’s Edition celebrates Campbell’s remarkable career amidst the greatest legends of fashion and photography with jaw-dropping images and exclusive autobiographical text. Volume 1 showcases the very best of Campbell’s portfolio, with photographs from the likes of Mert Alas and Marcus Piggott, Richard Avedon, Anton Corbijn, Patrick Demarchelier, Steven Meisel, Helmut Newton, Herb Ritts, Paolo Roversi, Mario Testino, Ellen von Unwerth, and Bruce Weber, and such unforgettable shoots as Peter Lindbergh’s joyful sequence of Naomi dancing as Josephine Baker on the beach in Deauville for Italian Vogue, or Jean-Paul Goude’s stunning composition of Naomi racing a cheetah for U.S. Harper’s Bazaar. Volume 2 features Naomi’s extensive autobiographical text, illustrated by magazine covers, ads, never-before-seen personal snapshots, video stills, and more. Naomi recalls her childhood; the beginning of her modeling career; her work with fashion’s greatest designers, including Azzedine Alaïa, John Galliano, Marc Jacobs, Karl Lagerfeld, Gianni Versace; and experiencing the meteoric rise to superstardom. Photographer biographies and an illustrated appendix are also included. Art Edition of 100 copies (No. 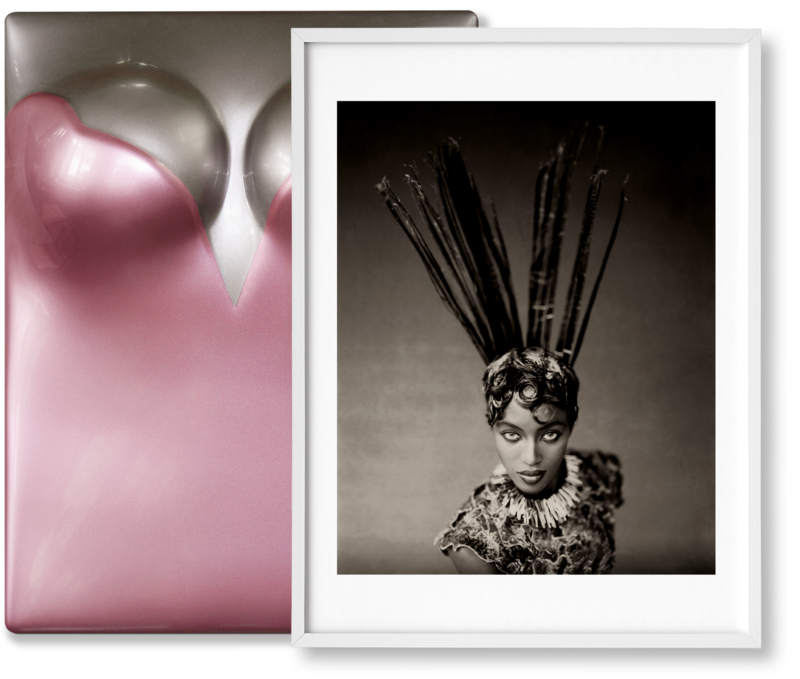 101–200), numbered and signed by Naomi Campbell, with an artwork by Allen Jones and signed print Vogue Italy (1996) by Paolo Roversi. Also available as a second Art Edition (No. 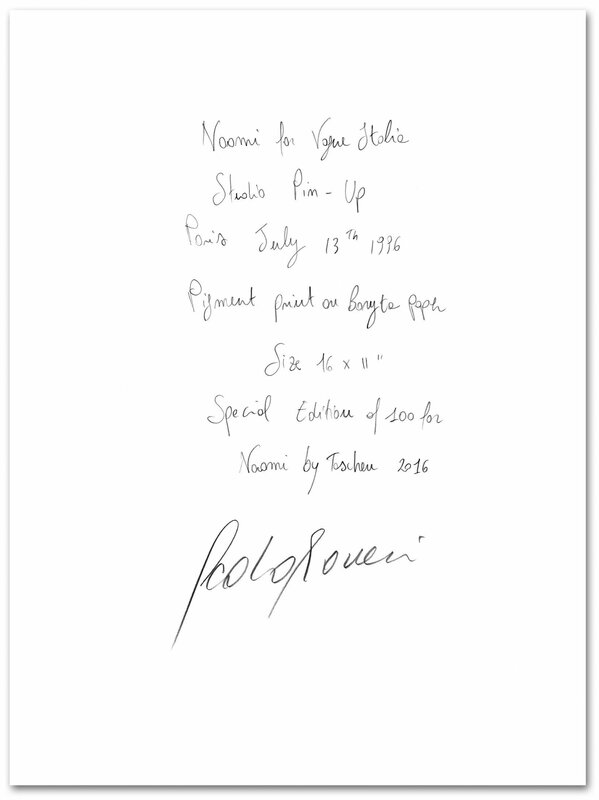 1–100) with an alternative artwork, and as a signed Collector’s Edition (No. 201–1,000). 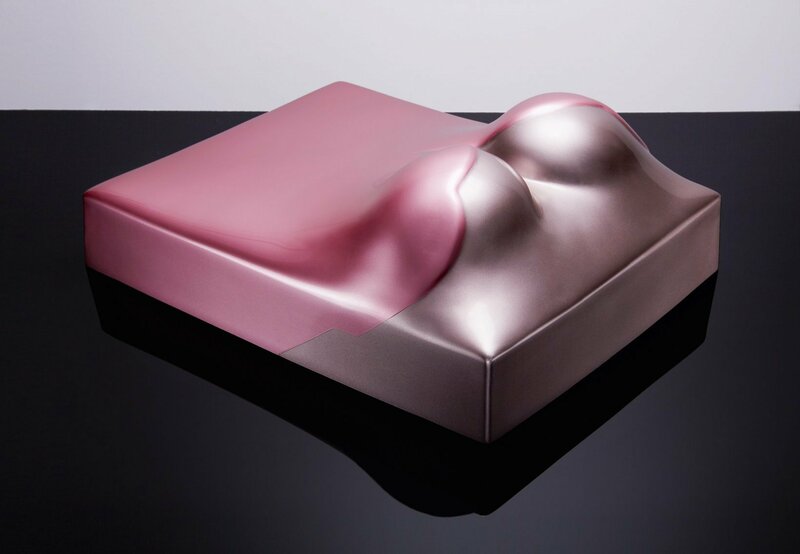 Allen Jones RA (born 1 September 1937) is a British pop artist, best known for his figurative work in paintings, sculptures, and lithography, including the famous Hatstand, Table and Chair. Jones has taught at the Hochschule für bildende Künste Hamburg, University of South Florida, University of California, Banff Center School of Fine Arts in Canada, and Berlin University of the Arts. He is a Senior Academician at the Royal Academy of Arts. Graphic designer Josh Baker has been editing and designing books for TASCHEN since 2005. 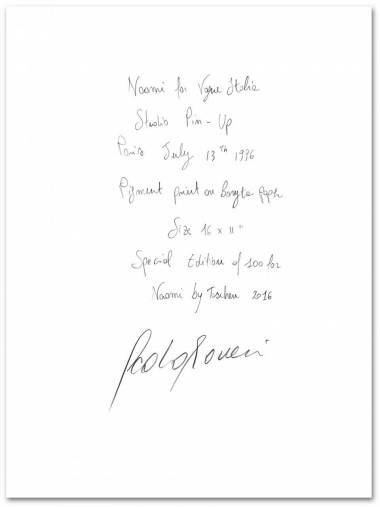 His collaborations include signed limited editions by David Bowie, Naomi Campbell, Dennis Hopper, Norman Mailer, and Tom Wolfe, as well as best-selling pop culture titles such as Matthew Weiner. Mad Men, and the Eisner Award-winning 75 Years of DC Comics.